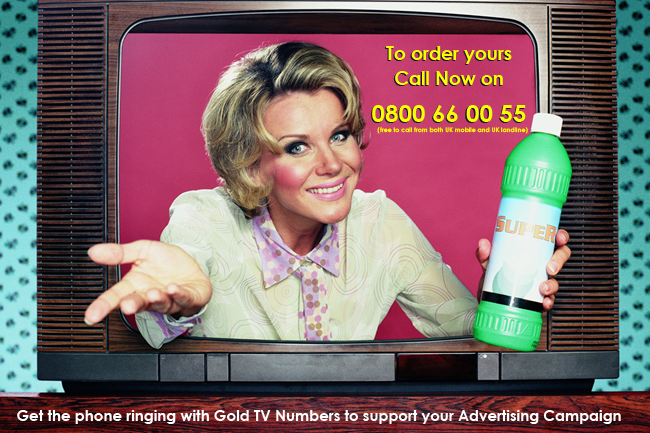 We get lots of enquiries for our very best Gold TV numbers. Quality looking 0800 or 0333 number options are ideal for businesses with bold ambitions who are looking to impact a competitive market. A free to phone 0800 is perfect for your TV campaign & using 0800 has been proven to improve TV and Radio Advertising responses. Gold TV numbers usually are 0800 numbers or 0300 mobile friendly charity not-for-profit phone numbers. Often a TV or Radio advert will only have 30 seconds to show or say the contact number. Using a Gold TV number means you are able to give the potential callers a number they will be able to remember & write down.